At Systems Engineering, we have strong roots in the legal industry. Founded in 1988, some of our first clients were law firms. Given this long history, we have the experience and knowledge of the important business drivers and industry-relevant technologies and solutions law firms need to remain competitive and keep confidential information secure. Attorneys and legal team members have a growing need to access an array of mobile solutions, database query research tools, and real-time document retrieval in order to be productive. We know e-discovery, email archiving, time and billing, accounting, document management, and practice management applications are of great importance to your business. 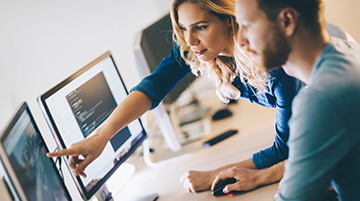 We understand your unique IT needs and know how to align your IT requirements with your firm’s strategic goals to optimize IT as a competitive differentiator. System Engineering services provide you the freedom to focus on what’s most important: your clients. Deploying video conferencing tools that provide face-to-face, intra-office meetings, eliminating costly travel time.